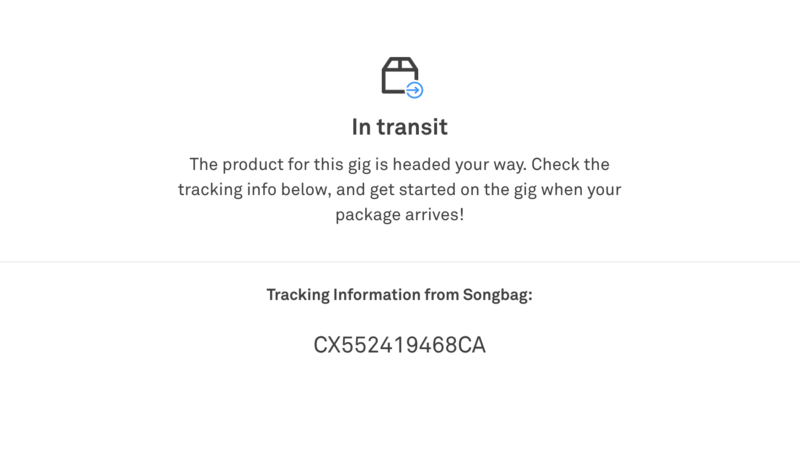 The shipping information for my gig product wasn't recognized by the system. What do I do? Our system didn't recognize your shipping info, here's what to do next. If your gig requires product from the brand, and you don't see tracking info in the Prep section of your gig, it might be one of a few things. Either the brand is using a shipment company that our system doesn't recognize, or the tracking number provided was invalid. Our platform recognizes UPS, USPS and FedEx tracking information. If the tracking info came from another carrier or is otherwise unrecognizable to the platform, we know the product shipped, but we won't be able to tell you when to expect it. We recommend allowing at least 5 days, from the day you were notified that tracking info was added, for your product to arrive before checking with the brand. Still looking for your product after 5 days? Message the brand in the app to see what's up.